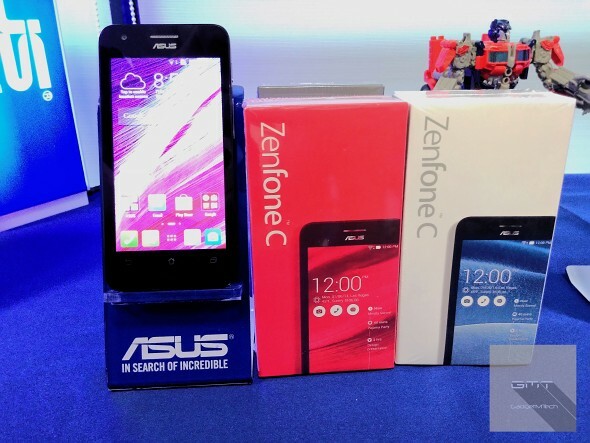 Today Asus announced the latest addition to the ZenFone lineup - the ZenFone C. It is an entry-level device that the Taiwanese manufacturer has created as a replacement for the ZenFone 4. 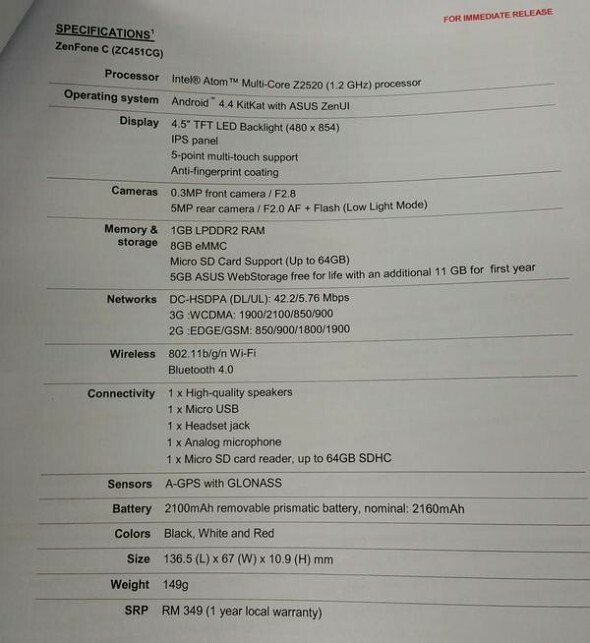 The full specs sheet for the device already surfaced online as well as a few photos of an actual unit. The new handset seems to be almost identical to the Zenfone 4 in terms of design, but with a few notable upgrades in hardware. The new Zenfone C comes equipped with a bigger 4.5-inch IPS display with a resolution of 480 x 854 pixels. Under the hood there's an Intel Atom Z2520 processor, clocked at 1.2 GHz along with 1GB of RAM and 8GB of onboard storage. Cameras on the device seem mostly unchanged with a 5MP main shooter and 0.3MP front facing one, but a few touches have been made. There is now a LED flash on the device and EIS for improved low-light performance. The battery has also gotten bigger with 2,100 mAh capacity. This is a significant improvement over the 1,600 mAh in the ZenFone 4 and should definitely boost the phone's endurance. The Android 4.4-powered budget device will be available in Malaysia early next month in black, white and red. The initial price tag is set at MYR 349 or about $97. It's better than zen4 of course. Oww in malaysia ? How about in Philippines ? Im waiting for this phone, im excited.. Plss responce for my Asking.. When ? !